Soups are a hearty and healthy meal. It’s always great when you find a soup that includes protein, vegetables and carbs all in one. 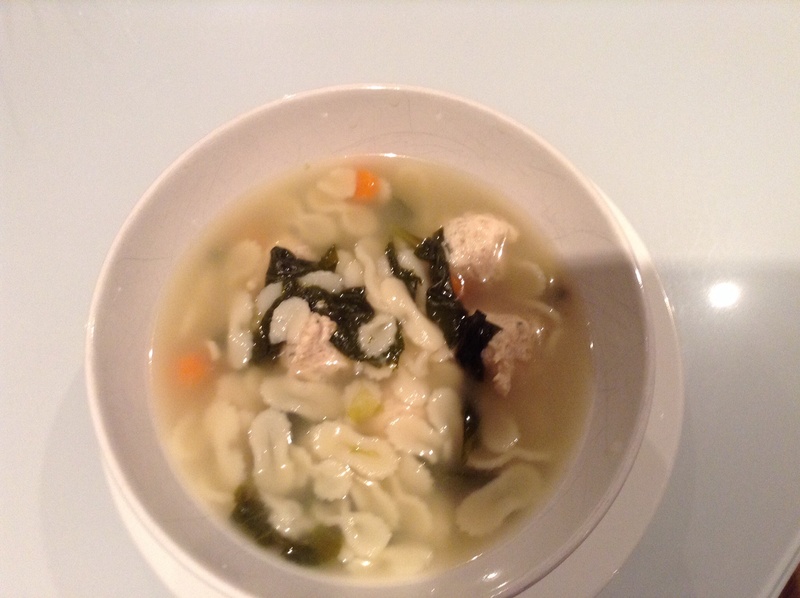 My children’s nana introduced them to this soup a long time ago and they begged me to make it for them. My version is a little different but just as good. In a bowl combine minced chicken, eggs, bread crumbs, parmesan, basil, parsley, onion, salt and pepper. Form tiny chicken balls 3/4″ in size. Place chicken broth in a pot. Bring the broth to a boil and place the chicken balls in the pot gently. Add pasta, spinach and carrots into the pot. Lower the temperature to a simmer and cook for approximately 1/2 hour. Serve and enjoy!